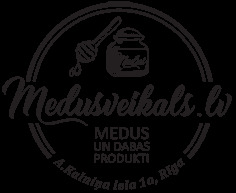 This website is owned and managed by APITEKS SIA (registration number 40003954075, legal address: Mālu iela 7-14, Riga, Latvia), called the data controller. The data controller shall protect and safeguard privacy and protection of personal data of the website visitors. The data controller shall undertake to respect your right to legal processing and protection of personal data, as well as to comply with applicable personal data protection laws - Personal Data Protection Act, General Data Protection Regulation (GDPR) and others, if applicable for data processing. Any other information you wish to send us. APITEKS SIA transfers the personal data required for making payment to the authorized payment processor PAYSERA UAB. We use short-term (session) and long-term (permanent) cookies. Session cookies allow us to track your activities within one visit session, but they are not stored on your device after the visit. Permanent cookies are stored on your device between sessions. We use them to authenticate you and remember your settings. We also use third-party cookies to ensure safe and convenient operation of the website, as well as for needs to make internal statistics, namely to learn more about visitor activities on the website and to analyze visitor experience of using the website. Your information will not be disclosed to third parties unless we have received your clearly expressed consent or disclosure will be required by law. If you would like to review, correct, update or otherwise modify the information provided to us, or would like to ban managing it, please contact us. We strive to ensure your personal data protection, therefore this website is protected by appropriate means intended for information that we cannot control to be protected from loss, misuse or alteration. While we implement security measures to protect confidential information and provide adequate security, we do not warrant that information transmitted over the Internet is secure or that such transmissions will not be affected by delays, interference, interception or errors.